Now you can take tarot with you wherever you go. The world's smallest complete tarot deck is available as a key chain. Packaged in an attractive, durable carrying case. Instructions included. 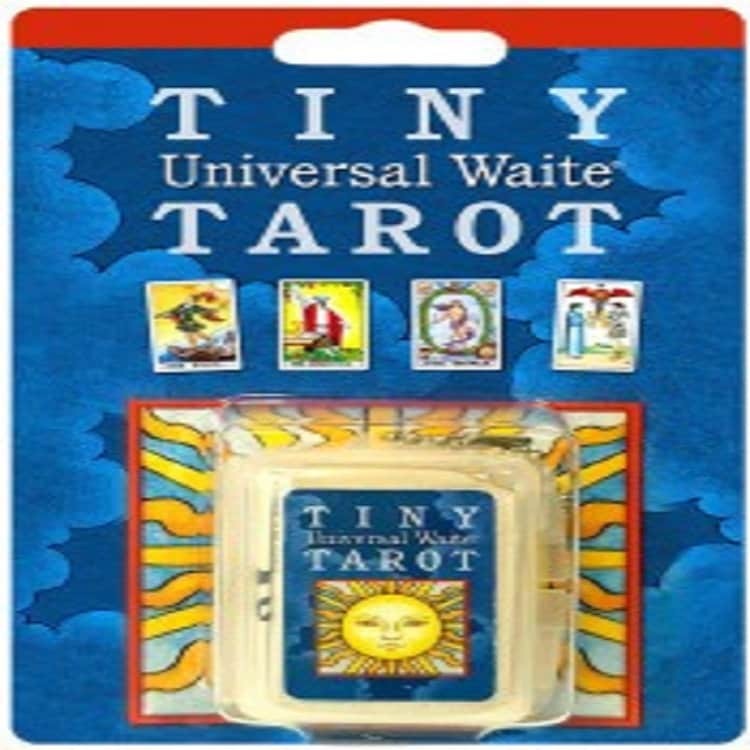 "Includes 78-card Tiny Universal Waite(R) Tarot Deck and Instructions Now you can take tarot with you wherever you go. 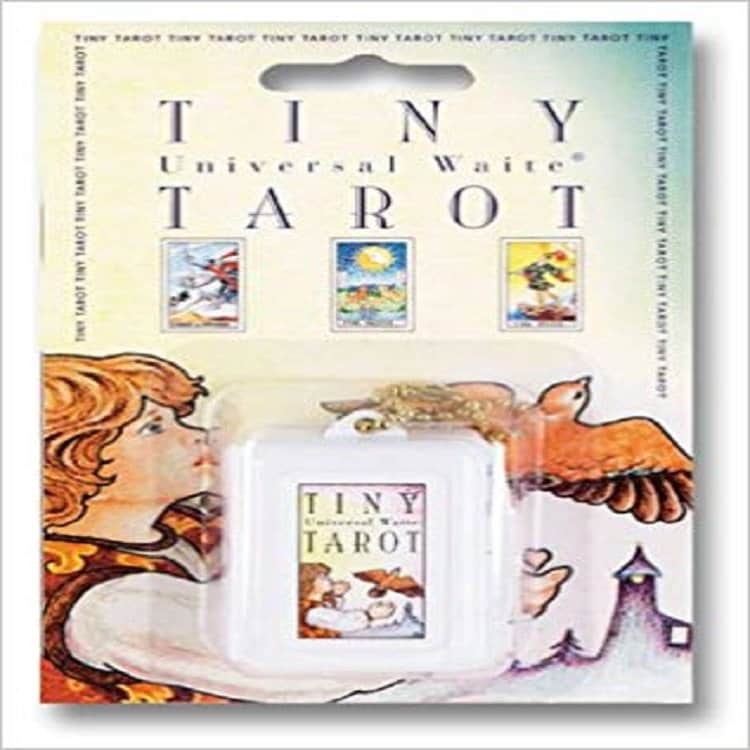 The world's smallest complete tarot deck is available on a key chain, packaged in an attractive, durable carrying case. Size Case measures 1.375" x 1.75" ; Cards measure 1.1875" x 1.1875" ; Blister pack measures 3.5" x 5.5"